South Korean President Moon Jae-in is on a visit to Brunei, Malaysia and Cambodia. Choosing the three Southeast Asian countries for his first overseas trip in 2019 carries a meaning. First, the Moon administration hopes to further promote its New Southern Policy (NSP). As an economy heavily dependent on export, South Korea intends to expand multilateral trade cooperation. Second, the second Kim-Trump summit was held in the region. Some Southeast Asian countries have maintained traditional friendship with North Korea. Seoul wants to get the support of Association of Southeast Asian Nations (ASEAN) members on bringing peace to the Korean Peninsula. Furthermore, the China-proposed Belt and Road Initiative (BRI) is being promoted in Southeast Asia and Japan has for long tried to spread its influence in the region, Seoul wants to compete with Beijing and Tokyo for influence by virtue of its economic prowess. After taking office, Moon initiated two main policies, the New Northern Policy (NNP) and the NSP. Through the NNP, South Korea intends to expand its cooperation with regions in Northeast China and Russia, while the NSP mainly targets Southeast Asia. Although Seoul has an advantage in historical cooperation with Southeast Asia, Tokyo is much better at courting these countries. Thus, South Korea feels there is scope for expanding its footprint in the region. Seoul has to support its export-led development and expand multilateral cooperation not only in Northeast Asia, but also in Southeast Asia. Southeast Asian countries are also of political and strategic value to South Korea. The region is strategically and geopolitically important because of its location. Southeast Asia is the center of regional trade, investment and transit, cooperation with Southeast Asia will bring about expansion of South Korean trade and promote investment in the region. South Korea is pursuing cost-driven economic growth, just like Japan. Many South Korean corporations have shifted from Pearl River Delta or Yangtze River Delta in China to ASEAN members such as Vietnam and Thailand, seeking to lower cost of production. Seoul seeks stronger diplomatic, political and economic ties with ASEAN members to pave the way for South Korean firms to operate in the Asia-Pacific region. China is South Korea's largest trading partner. No matter how Beijing-Seoul relations develop, South Korea's economic reliance on China will not change in the short term. However, no country is willing to rely too much on another in economy and trade. Therefore, Seoul will seek to reduce its dependence on Beijing, diversifying its markets. 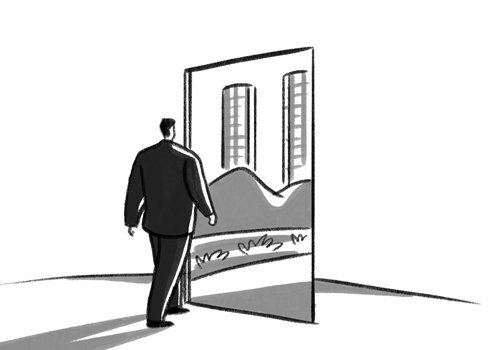 There is an element of peculiarity in South Korea's relations with China. Seoul tends to enhance communication with China but is worried that its economic reliance on Beijing will influence its diplomacy. Such an attitude is a drag on the improvement of ties. The benefits of cooperation with ASEAN members are clear for Seoul. According to the Seoul-based Korea Herald, "[South] Korea-ASEAN trade volume for the first nine months of 2018 came to $120 billion, up 6 percent from a year prior. The number of travelers totaled 8 million for the same period, an increase of 17 percent compared to the first three quarters of last year." The newspaper also says that under the NSP, Seoul wants to increase South Korea-ASEAN trade to $200 billion and raise the number of travelers between South Korea and ASEAN to 15 million by 2020.